The renowned sailboat brand expands with a 58-foot power offering. 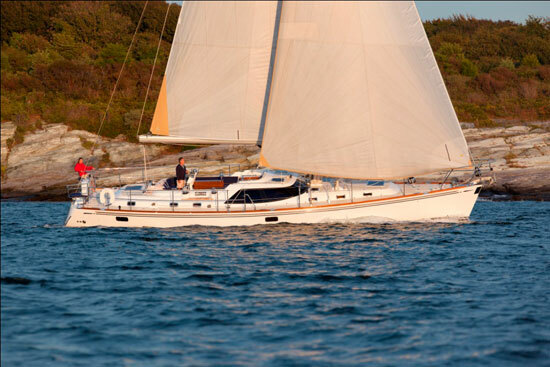 I’ve been ogling Hylas sailboats for two decades now. They’ve long topped my list of buewater passagemakers that cruise the waters of the world with grace and ease. However, as some sailors age out of dreams of circumnavigating, the builder is setting sights on a new market. Now blowboaters can shift to being stinkpotters and still move within the ranks of this exceptional brand. 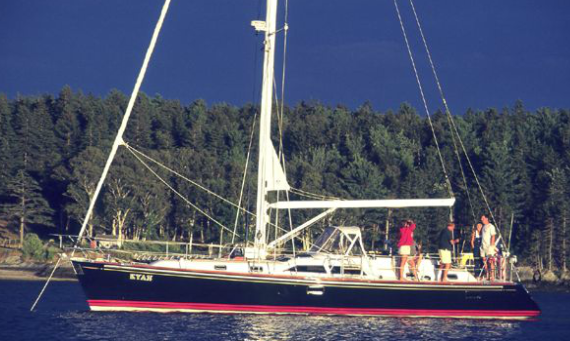 The new Hylas M58 follows on the heels of the just-introduced M44. The artist’s renderings show an aesthetic that has dominated powerboat design for the past decade. Downeast or picnic boats have popped up everywhere from the popular MJMs to Grand Banks and San Juan brands and now Hylas has gotten into the game as well. Looking to accommodate the needs of its clientele of experienced sailors who are looking to enjoy power cruising, Hylas Yachts partnered with Zurn Yacht Design to built the new M58. Hylas power yachts are represented by Hylas Yachts Americas and fall under new ownership with the Taiwanese builder, Queen Long Marine. 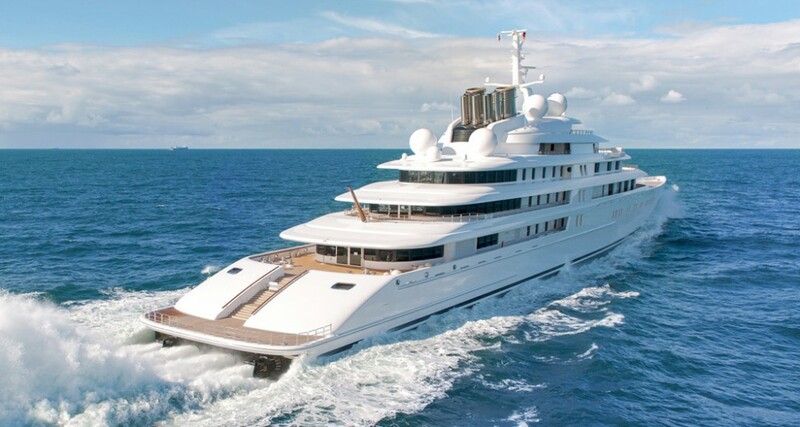 The design is by Zurn Yachts that has drawn a classic reverse sheer and flowing, elegant lines. 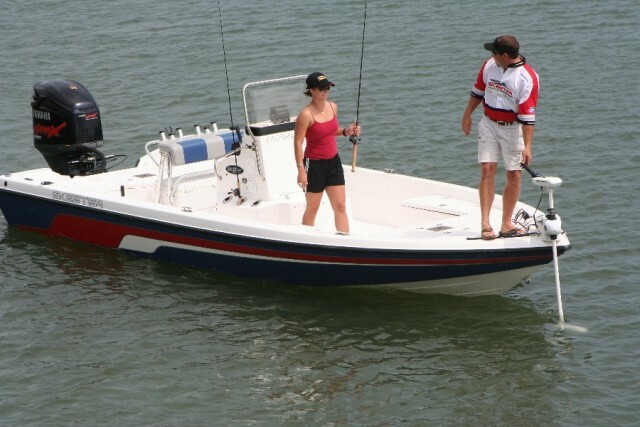 The slippery hull leans more toward a planing rather than semi-displacement bottom. 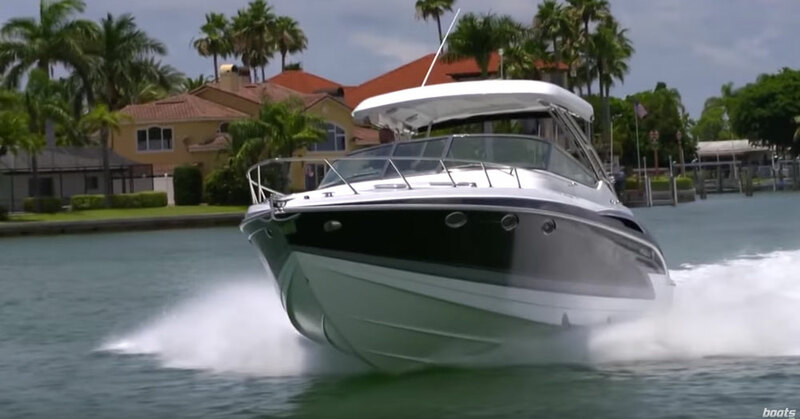 A fine entry leads back to a medium 16.5-degree deadrise at the transom and chines help create lift for efficient and economical cruising. The standard power pack includes twin 725 HP Volvo Penta IPS 950s that will cruise at 23 knots with a top speed of 27 knots and a range of 800 nautical miles. The optional Volvo Penta IPS 1350s raise that to 30 knots cruising and a top speed of 35 knots. The larger engines add six inches of draft, which goes from 4’3” to 4’9”. Forward, the hull is full for voluminous accommodations that include three staterooms and three heads with the master in the forepeak. On the main deck, the galley is aft with a seamless transit between saloon, galley and cockpit. The galley window slides down into the counter to create a cockpit bar for a perfect blend of the outside and inside. To starboard, a ladder leads from the cockpit to the flybridge where you’ll find a single center helm seat abutted by two long lounges and an outdoor galley module aft. On a 58-footer, I’d like to see something friendlier to older knees than a ladder. 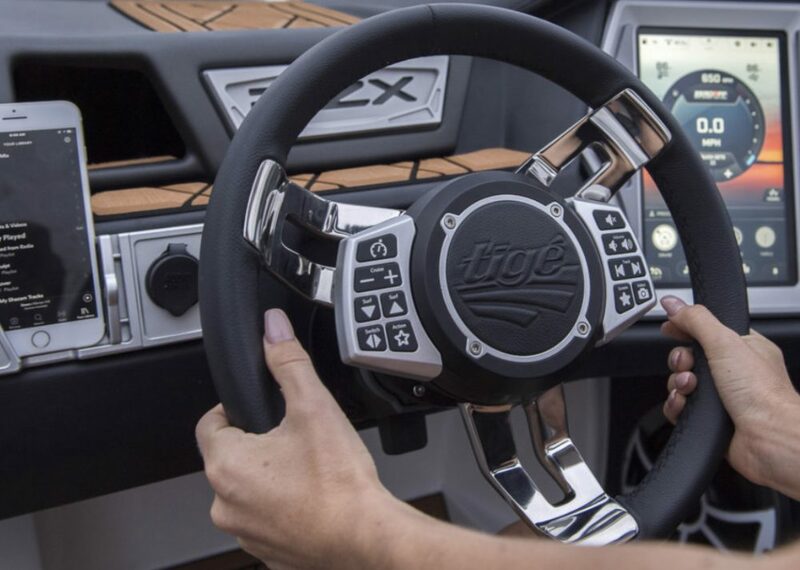 The model will be available in flybridge and sedan versions. It’s hard to tell the level of personalization at this time but Hylas claims they will build to customer specification. The anticipated launch date of hull #1 of the M58 is Fall 2019 and the estimated base price is $2 million. Bay Boat Battles: What Makes One Better Than Another?